If I had to choose the ultimate party food it would definitely be this recipe. I make them mini burgers for birthdays, New Year parties, anytime I get a chance to… Kids love them and grownups love them. Especially the grownups. You should see their faces when they see them. 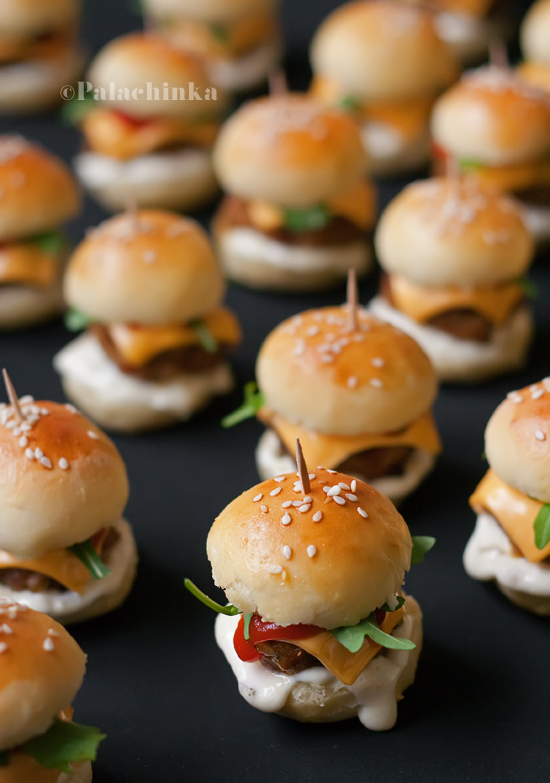 Come to think about it, these mini burgers were the best thing that ever came to my mind to prepare. The recipe is a bit time consuming but the effect it will have on your next party is definitely worth the effort.